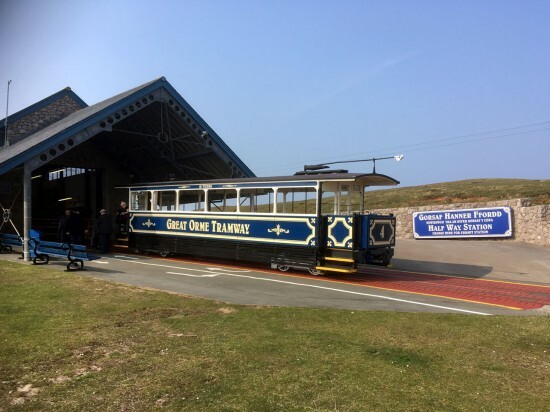 As is usual late March saw the start of another season on the Great Orme Tramway with trams now due to run daily until late October. Trams run each day between 1000 and 1800 (until 1700 during October) with regular services running on both the lower and upper sections during these times. A standard return ticket is available for £8.10 (adults) and £5.60 (children) and can be purchased from the ticket office at each end of the line. 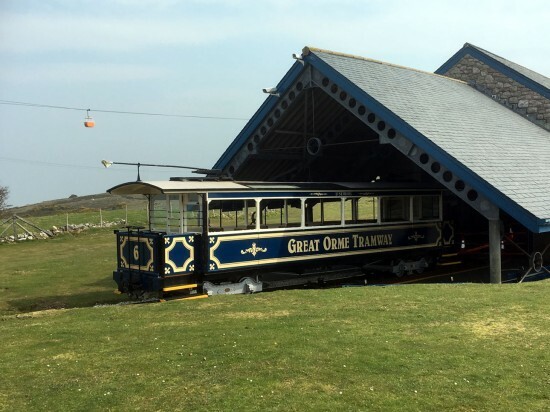 In this short pictorial article we take a look at the four trams around Halfway Station with thanks to David Stringer for the images. Starting off on the lower section and we see the lowest numbered tram on the line – no. 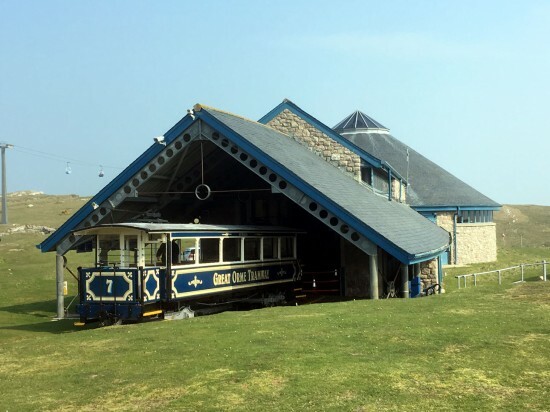 4 – as passengers disembark before heading through the winding room and visitor centre to take the upper section tram to the summit. The other lower section tram is no. 5 and that is seen awaiting departure back down to the town. Onto the upper section and we see no. 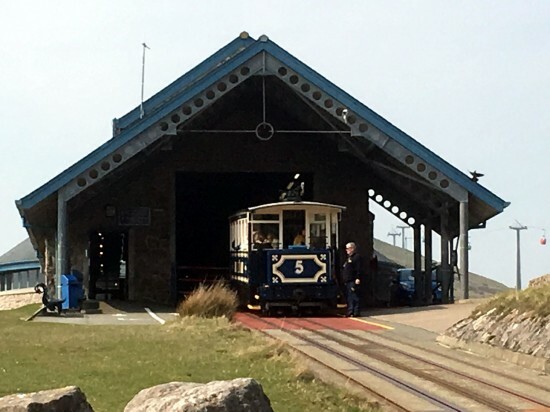 6 as it waits for passengers before ascending to the summit.